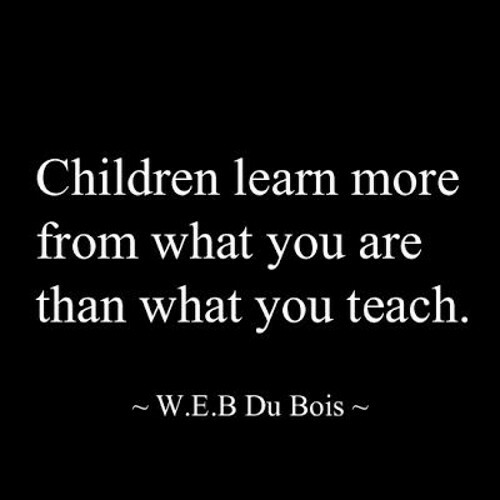 We spend a great deal of time telling children what they need to learn, but we often forget that we are showing them things to learn in everything we do. More importantly, what we show them has a far more lasting impact than what we tell them. Think of your own learning. How often did you dismiss what you were told in favor of what you could see in front of you? "Do as I say, not as I do" is an unrealistic expression. They might pretend, but what you say is not what is going to leave the more lasting impression.